Normally, what happens in a packed debate such as this, two or three candidates will stand out while the rest are largely ignored by the audience. The following scenario presents itself; if Pawlenty does well, but a fringe candidate does better, there might be a new wrung for the less known candidates to stand on. If Herman Cain or any of the other candidates are the real deal, they’ll have their chance to fill a very large vacuum let over by missing candidates. I haven’t set my sights on any candidate yet. 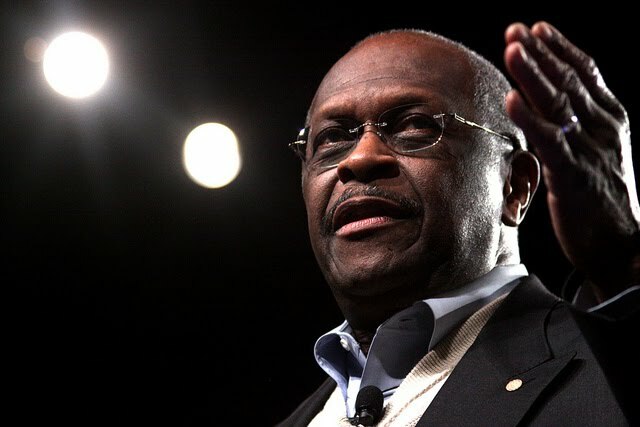 I’m skeptical about the whole batch, so here is my untainted opinion of Herman Cain. I’ve seen many of Herman Cain’s interviews and speeches and I see his appeal. He is great at connecting with a crowd, he electrifying personality and an attractive story. Both are big assets for a Presidential candidate. I expect to see much of the same tonight, which is why I believe he is likely to steal the show. However, most of my opinion of Herman Cain was formed from his CPAC speech which was great. It reminded me of Rush Limbaugh’s in 2009. But, even though he connected, he connected much like many of the great conservative radio hosts do. He spoke to the base in a manner the base is used to. What I want to see is Herman Cain look presidential and in a hostile, political, public forum. Cain is great at talking to the base; can he connect with America as a whole? That’s what I’m looking for tonight. I think if he can, you’ll see his stock rise quickly and without any of the poll leaders except Pawlenty to contrast their style, Herman has a lot of running room. This could be Herman Cain’s night and if it is, you’ll know tomorrow.